!! OMG, how lobstery: Simon Cowell !! 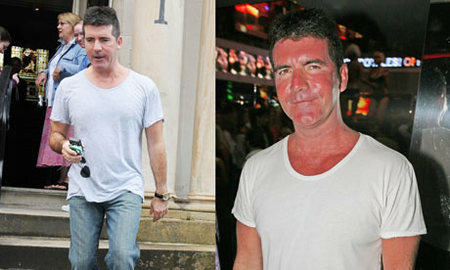 Simon Cowell is shown before and after sunburning in St. Tropez. This can’t be good for those wrinkles, Si-Si! 1 Comment on "OMG, how lobstery: Simon Cowell"
He looks skinnier. Did he get a breast reduction?